Within this limited geographic footprint you’ll experience unlimited variety, including nature, art, history, science and American Indian culture. 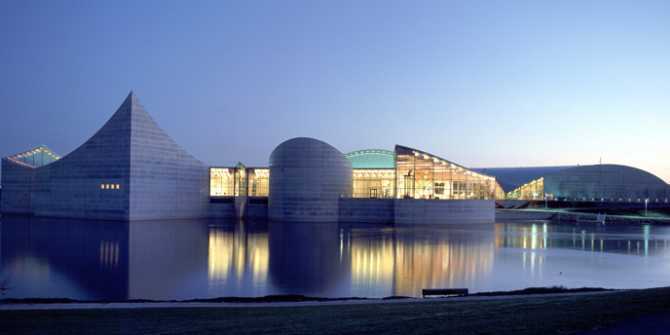 Each of these Wichita museums is along the Arkansas River, pronounced “Ar-Kansas” here in Kansas. One of the country’s longest rivers, the Arkansas River starts in Colorado and travels about 1,469 miles through Kansas and Oklahoma before merging with the Mississippi River in Arkansas. A 192-mile portion of the river is designated a National Water Trail, including the portion that flows right through the middle of Wichita. 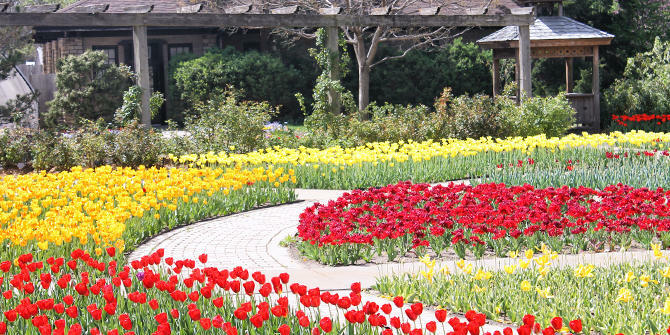 Botanica Wichita is recognized as one of the best horticultural displays of flowering species in the country and it’s one of Wichita’s top outdoor attractions. The plantings change wth the seasons as do the beloved special events, including the spectacular Illuminations holiday light display. Featuring more than 30 themed gardens, along with walking paths, sculptures, water features and more on a compact 18-acre layout, Botanica Wichita offers something for all ages and the entire garden can be enjoyed in a few hours. From amazing permanent exhibits focused on Kansas geography and local aviation heritage to hosting the top traveling national exhibits, Exploration Place is the premier science center in the state. 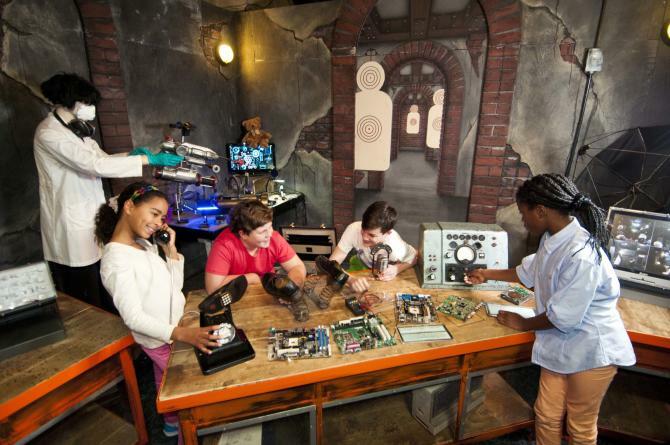 Along with interactive exhibits, you’ll find the Boeing Dome Theater and Planetarium, live science shows in the Kemper Creative Learning Studio and a Creatorspace. The striking waterfront structure was designed by internationally acclaimed architect Moshe Safdie, and adjacent to the building is a park with a wetlands habitat, adventure play yard, mini-golf course and picnic area. 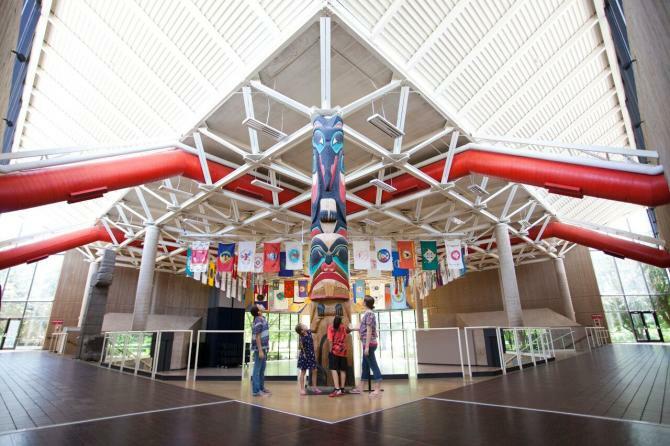 Two of the biggest misconceptions of visitors who walk into the Mid-America All-Indian Center is that American Indians no longer exist or that they still live like they did 200 years ago. That’s why a 3,000-artifact museum with historic and current work from American Indian artists is the focus of this cultural center that also includes an outdoor learning center, artist gardens and Keeper Plaza – home of the majestic 44-foot-tall Keeper of the Plains sculpture by Blackbear Bosin. The center is home to the largest public collection of work by Bosin, one of the founders when the center opened in 1969. Dirt streets, the ring of the blacksmith anvil, re-enacted gunfights. 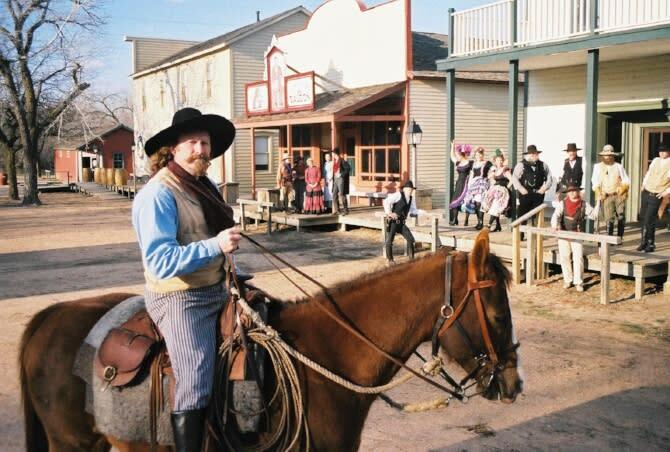 Immerse yourself in the sights, sounds and activities common to a typical Midwestern cattle town of the late 1800s at this living history museum. Among the 54 historic and recreated buildings at Old Cowtown Museum is Wichita’s oldest surviving structure and one of the top 10 intact structures in the U.S. Each structure contains period-appropriate textiles, furnishings, tools and art from the museum’s 10,000-piece permanent artifact collection. While the buildings and artifacts create the backdrop, the museum’s daily activities, education programs and special events bring to life the stories of Wichita’s transformation from a frontier settlement to a cattle town to an agricultural and manufacturing area. 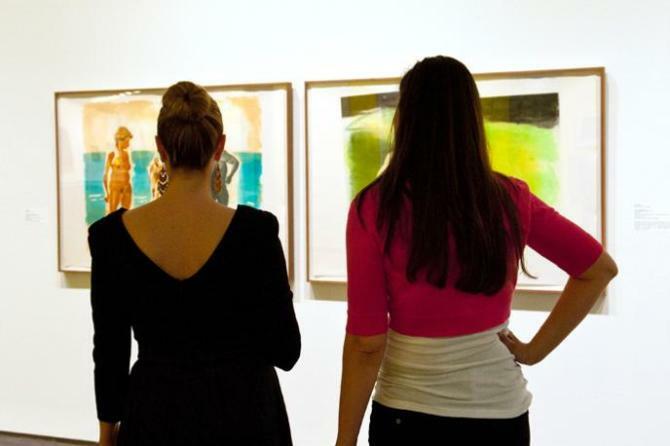 Since its founding in 1935, the Wichita Art Museum’s permanent art collection has grown to about 8,000 objects with an emphasis on exceptional American art. The museum’s exhibits are ever-changing and include a variety of mediums and styles. From abstract photography to oil painting, glass art to pottery, there is a vast array of artwork and masterpieces on display at any given time. WAM also regularly hosts national traveling exhibits. Don’t miss the Living Room, where kids can find hands-on art projects, or the Art Garden, open 24 hours a day, seven days a week and surrounding the museum building with lush landscaping and 13 outdoor sculptures. Planning a trip to Wichita? Many of these Museums on the River have special events so be sure to check out what events are happening on our calendar of events.